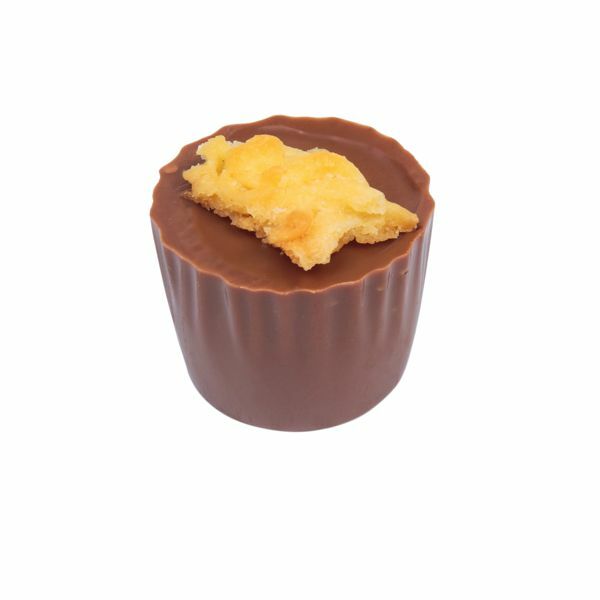 An apple and calvados truffle, with crunchy toasted almonds, in a milk chocolate cup topped with crisp crumble. 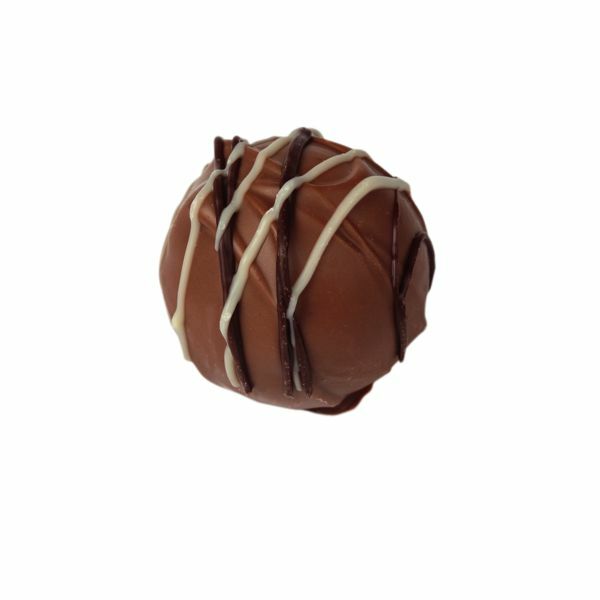 A smooth milk chocolate ganache flavoured with Baileys liqueur, hand rolled in milk chocolate and finished with a white filigree. 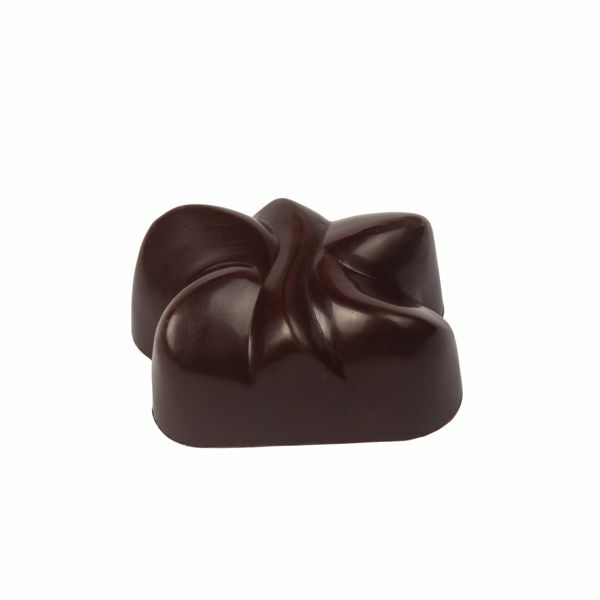 A classic smooth ganache generously flavoured with Brandy moulded in a dark chocolate shell. 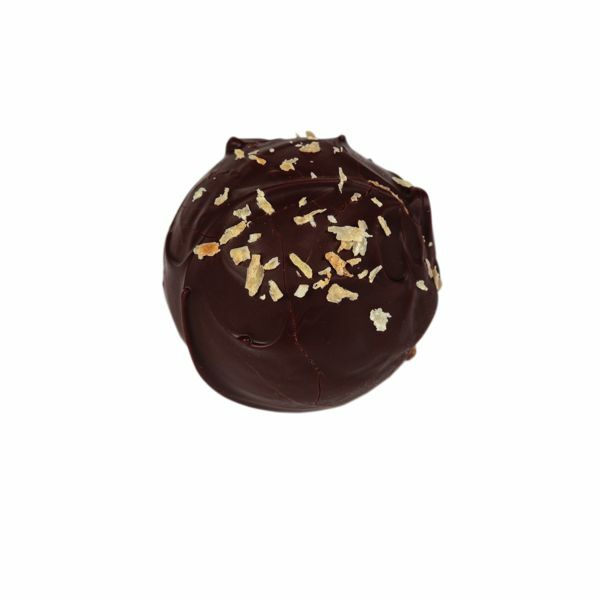 A smooth hazelnut praline base topped with a whole roasted Brazil nut, dipped in dark Belgian chocolate. 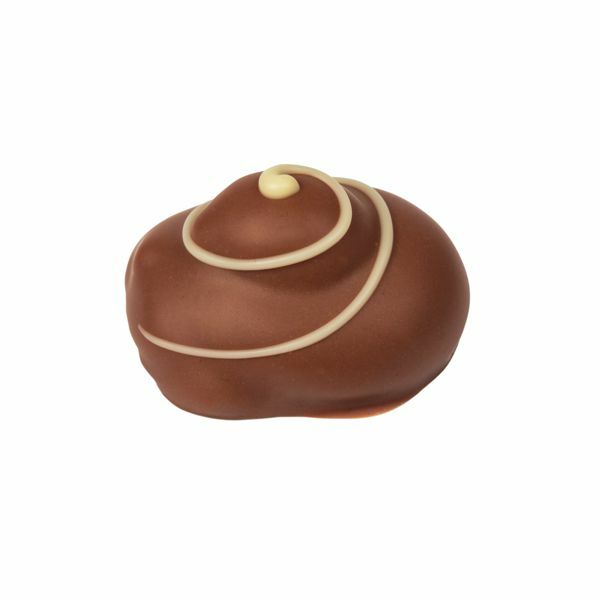 A traditional runny caramel moulded in a milk chocolate shell, finished with golden swirls. 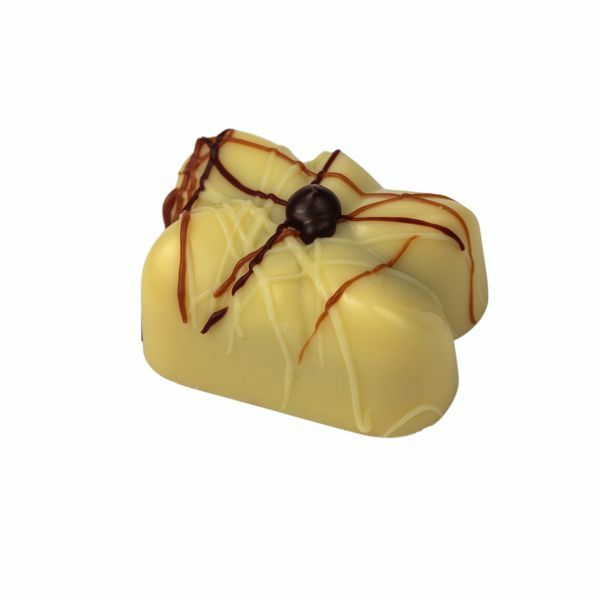 A smooth creamy caramel ganache enrobed in milk chocolate and finished with white and dark chocolate filigree. 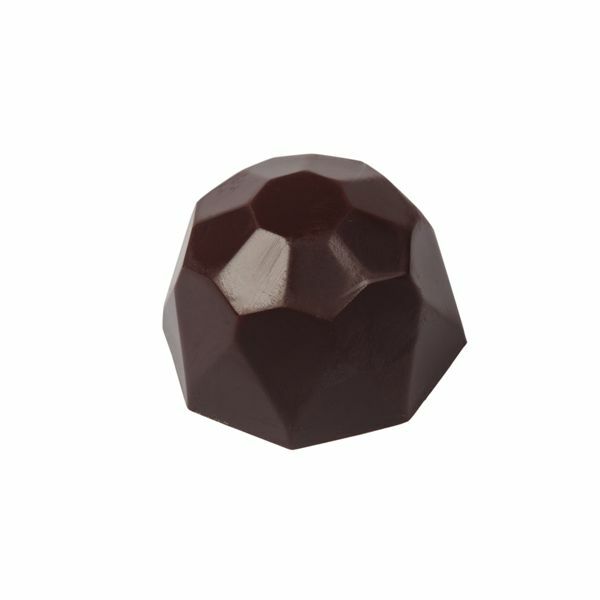 A traditional smooth Marc de Champagne, hand rolled in cocoa powder; picture to follow. 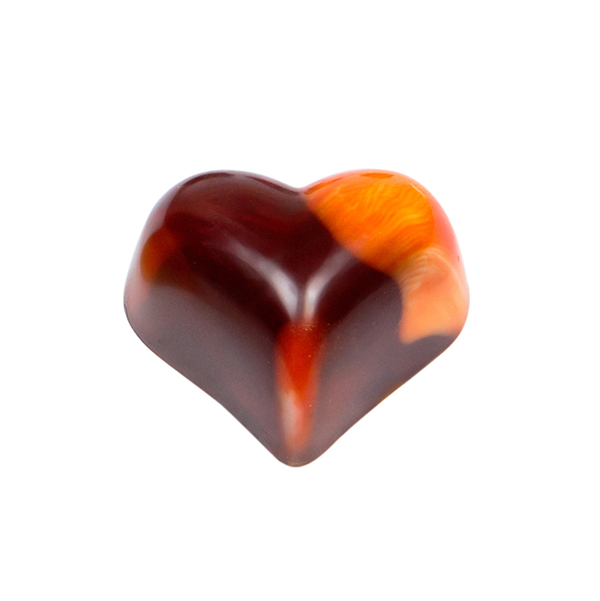 A light whipped milk chocolate butter ganache flavoured with cinnamon and a touch of brandy, pipped into a milk chocolate shell finished with a dark cinnamon drop. 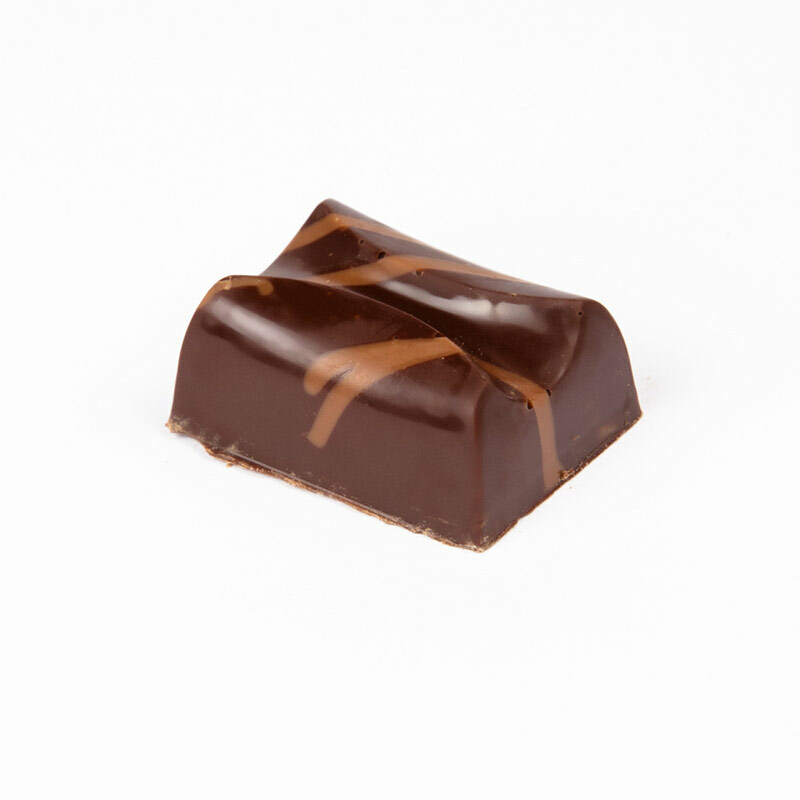 Toasted coconut in a dark chocolate ganache made with coconut cream and coconut butter enrobed in dark chocolate. 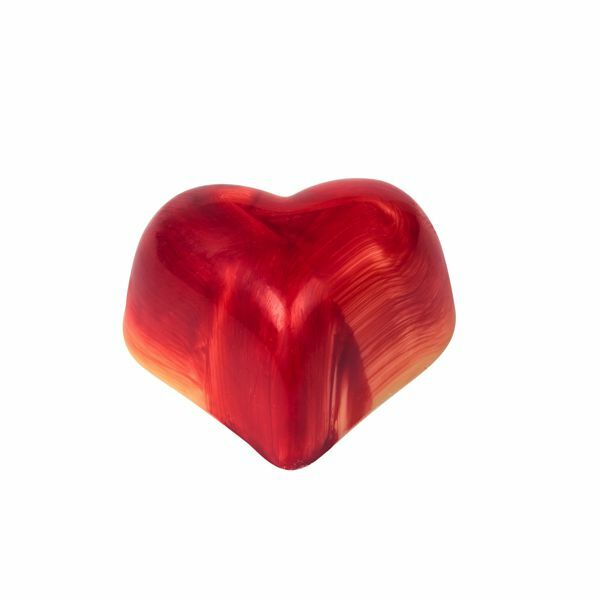 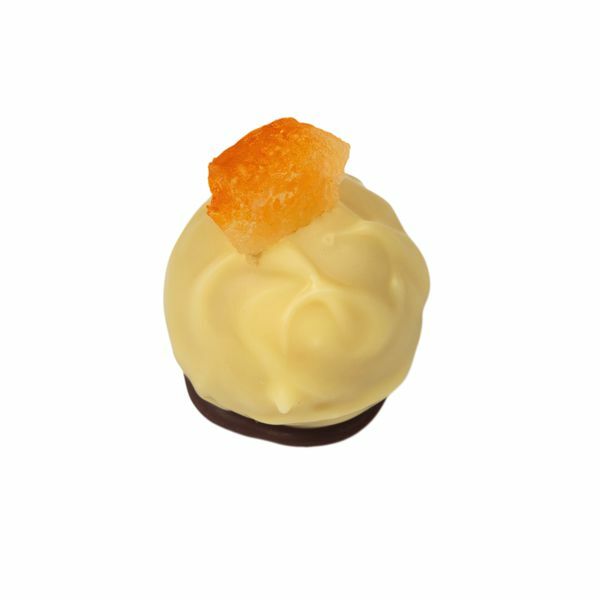 A smooth milk chocolate ganache flavoured with orange Cointreau liqueur in a white chocolate shell. 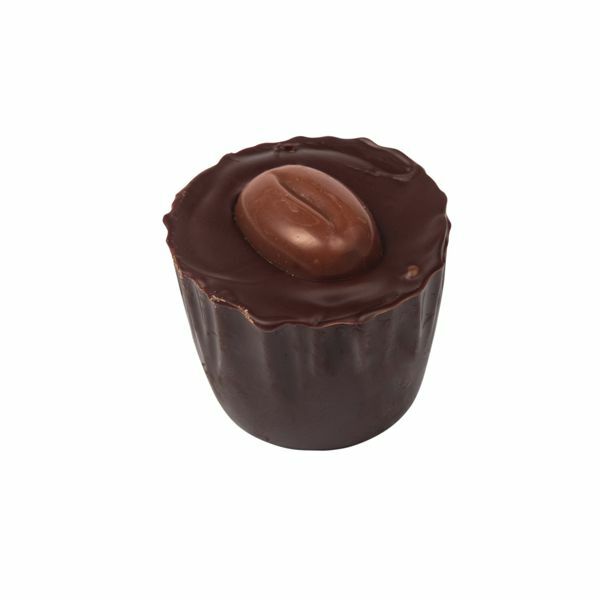 Freshly brewed coffee and a dash of Kirsch flavour with our dark chocolate ganache, in a dark chocolate cup topped with a milk chocolate coffee bean. 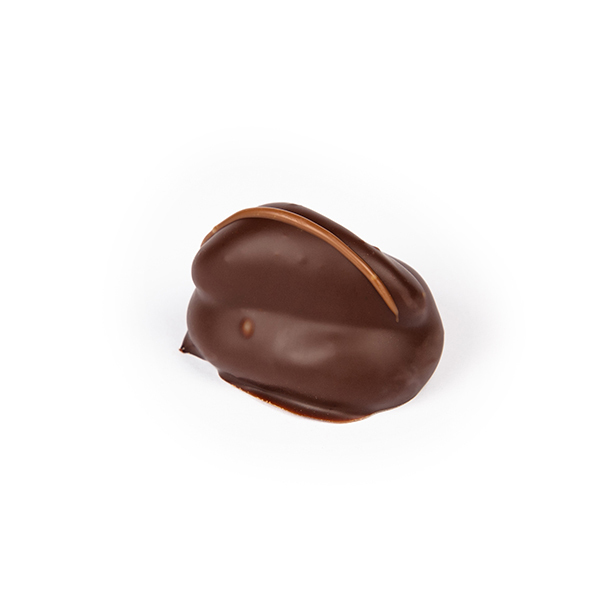 A classic runny caramel moulded in a dark chocolate shell. 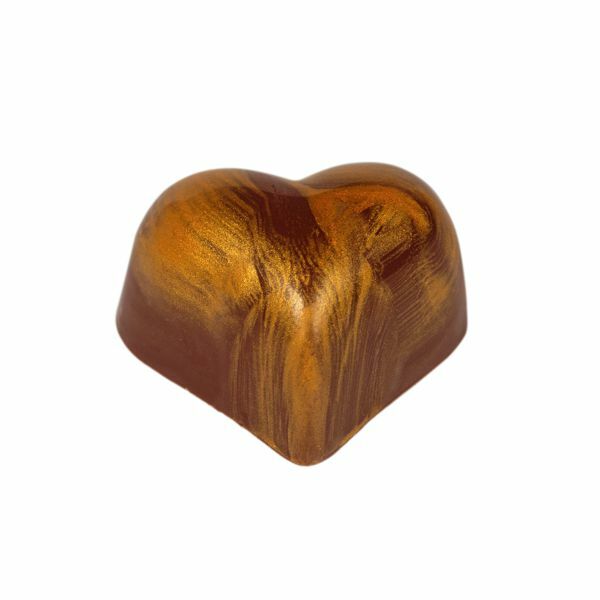 An extra creamy caramel with crushed Himalayan sea salt crystals moulded in a dark chocolate shell. 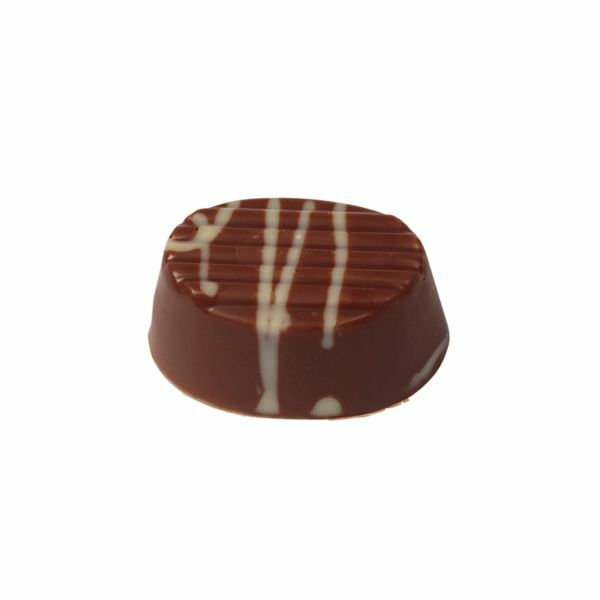 A white chocolate ganache with freshly squeezed finger limes in a white chocolate shell resting on a milk chocolate disk. 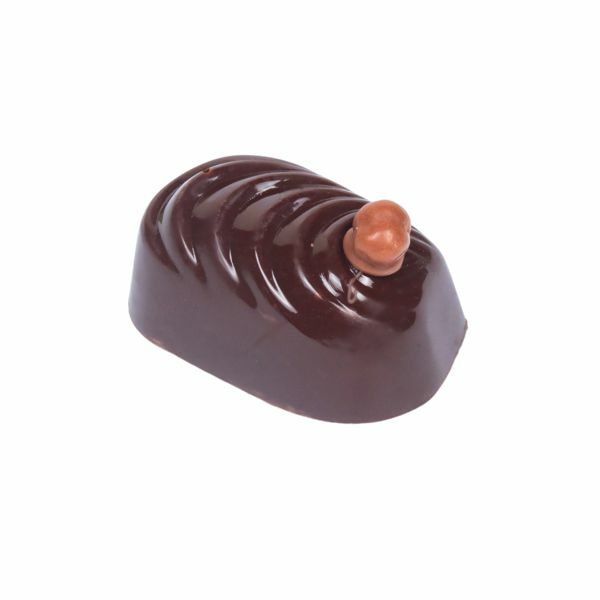 A dark medium strength chilli chocolate ganache hand dipped in dark chocolate finished with a red lava flow decoration. 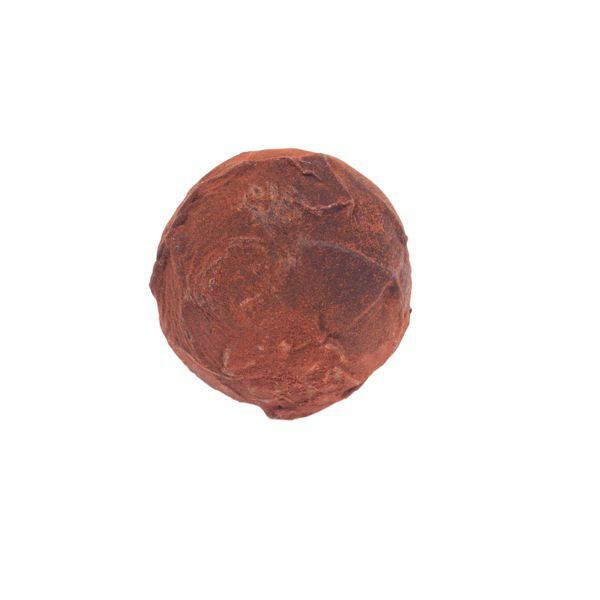 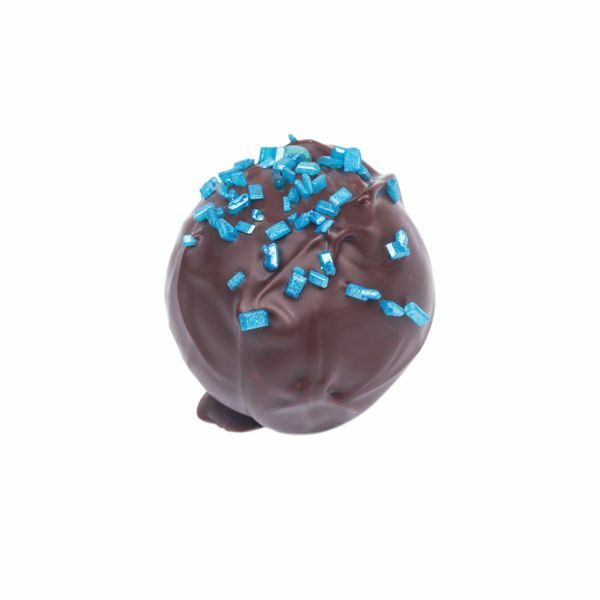 The ever popular Grand Mariner truffle flavoured with sophisticated taste of grand mariner enclosed in a crisp milk chocolate shell finished with a dusting of icing sugar. 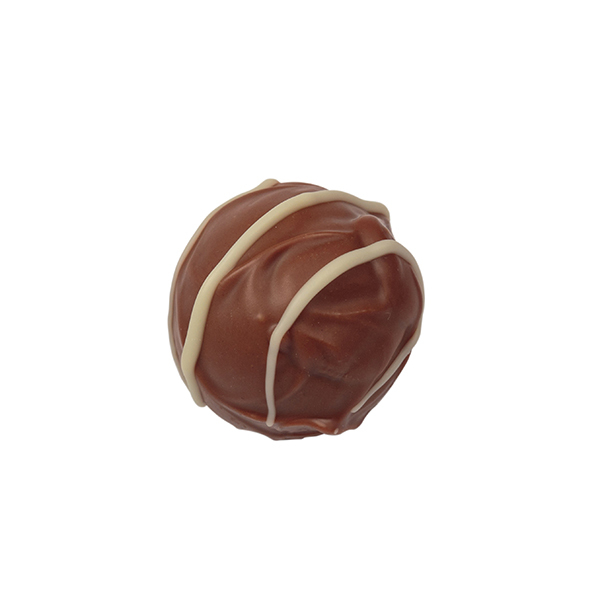 Our ever popular hazelnut praline topped with two whole roasted hazelnuts, dipped in milk chocolate. 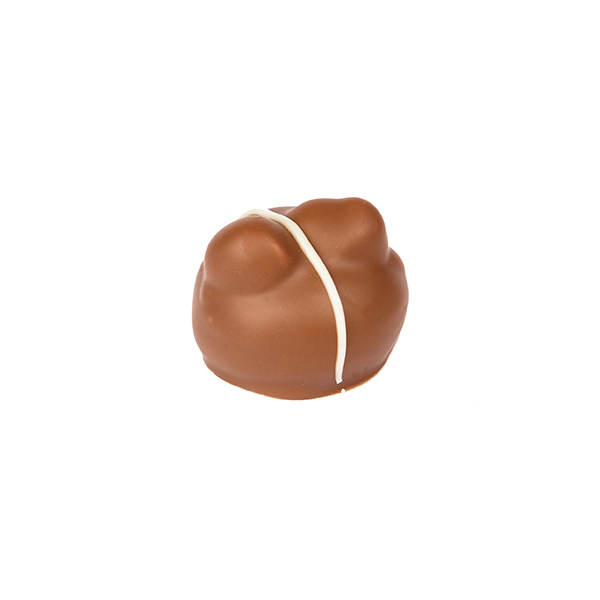 A soft creamy honey ganache, in a milk chocolate shell, garnished with a crisp milk pearl. 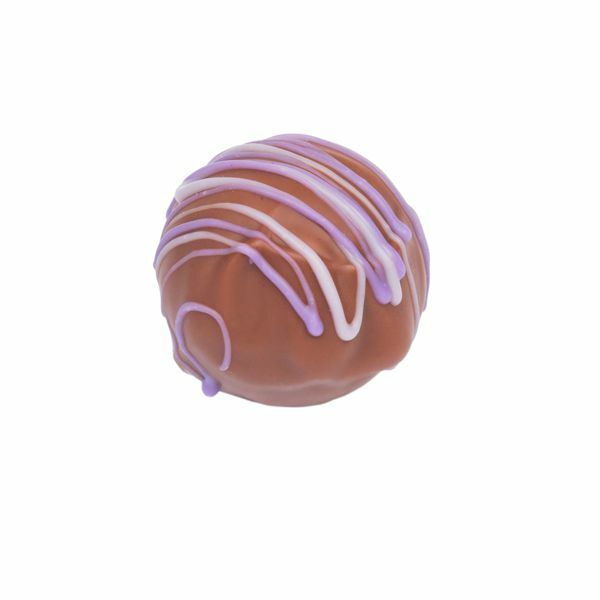 A Lavender scented milk chocolate ganache hand dipped in milk chocolate and finished with dried lavender flowers. 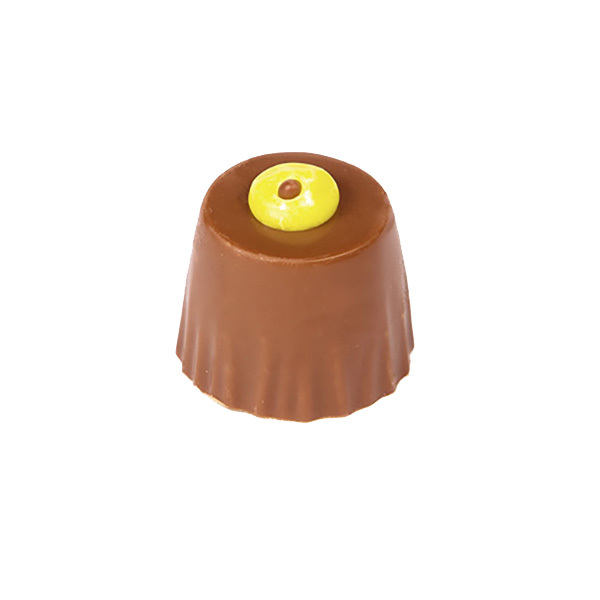 A zingy white chocolate ganache in a milk chocolate cup garnished with a piece of candied lemon peel. 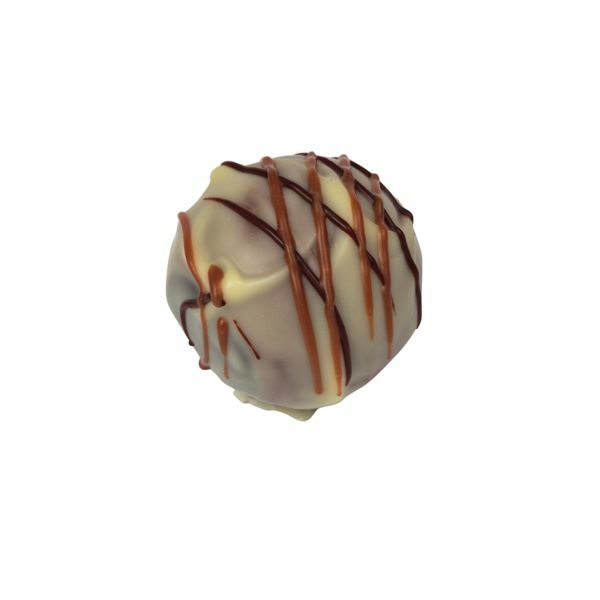 A Macadamia praline topped with a roasted macadamia nut hand dipped in milk chocolate and finished with a white chocolate swirl. 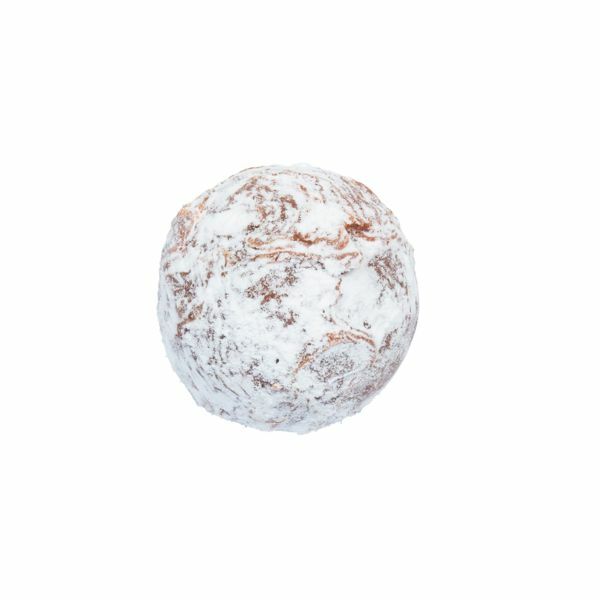 A light milk chocolate ganache flavoured with mandarin puree hand dipped in white chocolate, resting on a dark chocolate disk garnished with candied mandarin peel. 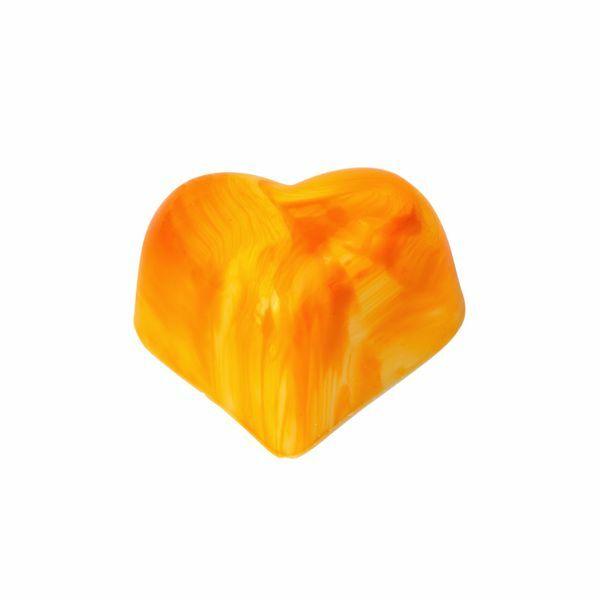 A white chocolate ganache flavoured with fresh mango puree moulded in a white chocolate shell finished with yellow swirls. 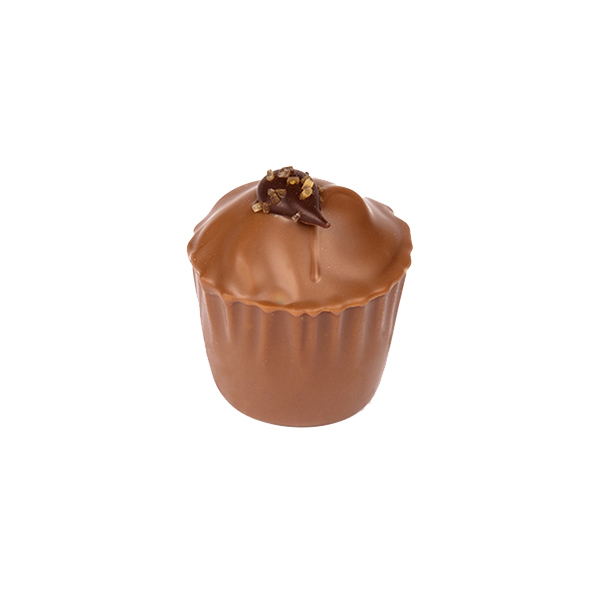 An extra creamy caramel with crushed sea salt crystals moulded in a milk chocolate shell. 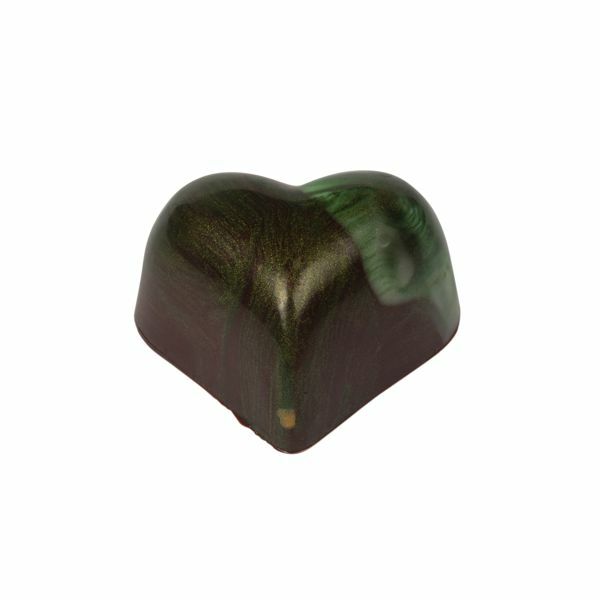 A dark chocolate ganache flavoured with peppermint moulded in a dark chocolate shell finished green swirls. 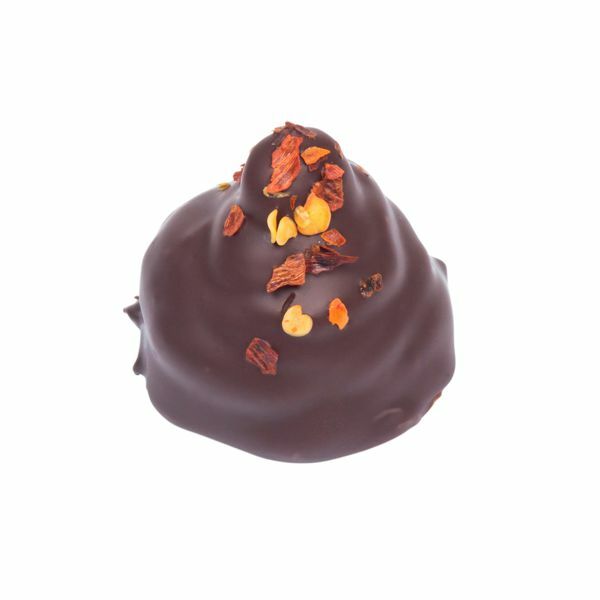 A dark chocolate ganache flavoured with fresh orange puree moulded in a dark chocolate shell finished with orange glitter. 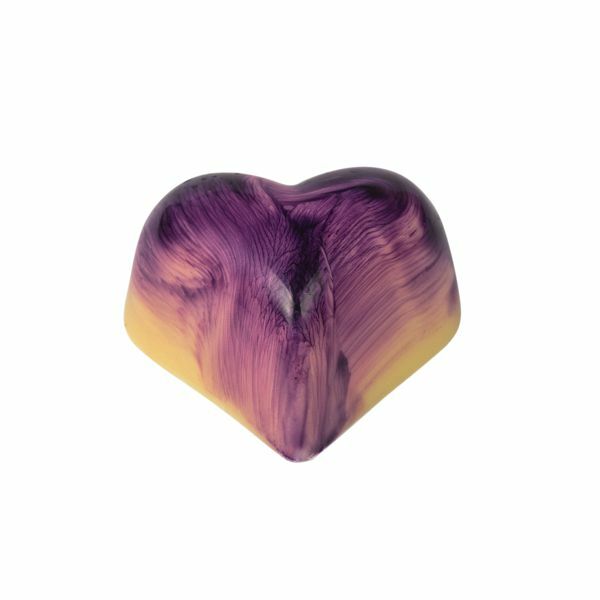 A white chocolate ganache flavoured with fresh passionfruit puree moulded in a white chocolate shell finished with purple swirls. 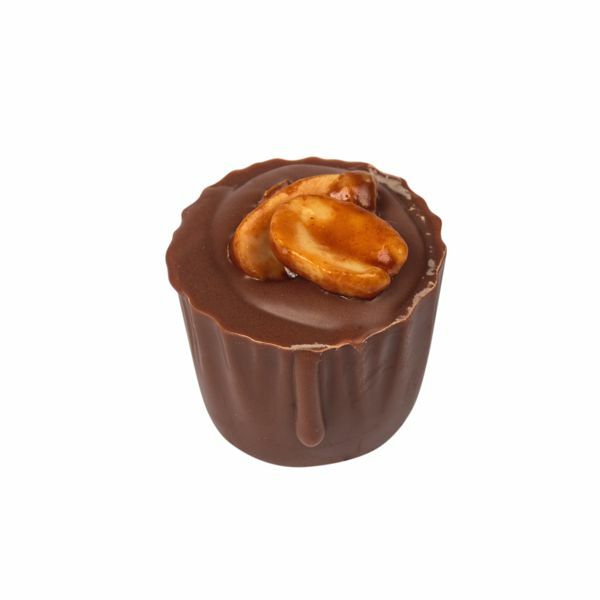 Roasted peanuts in a peanut butter ganache contained within a milk chocolate cup, topped with caramelised peanuts. 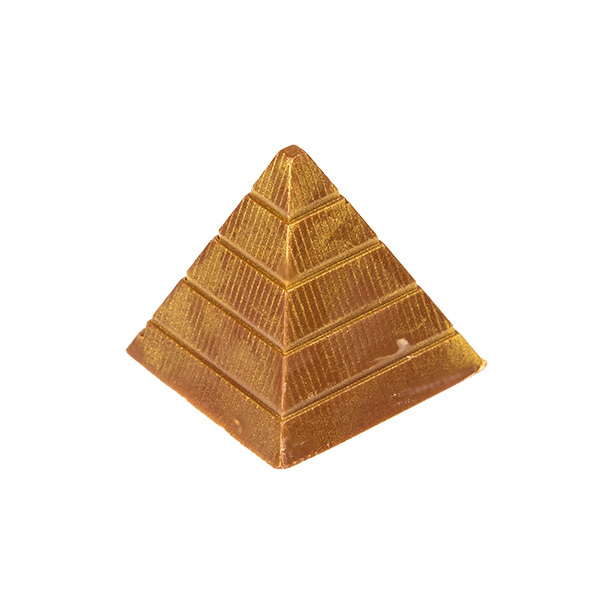 This dark green white Pistachio ganache it enclosed in a Dark Chocolate Pyramid shell, highlighted with real gold. 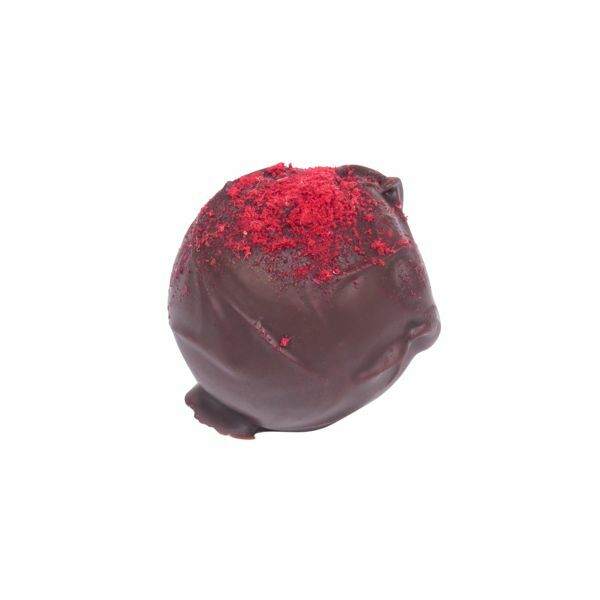 A milk chocolate ganache made from fresh raspberries and Framboise hand dipped in dark chocolate finished with a sprinkle of freeze dried raspberry powder. 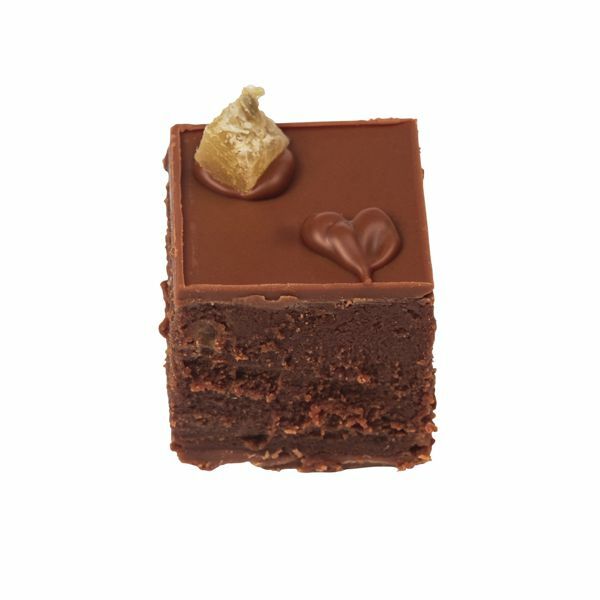 We soak raisin’s in Bundeburg Rum for 3 weeks before enveloping them in a dark chocolate rum ganache. 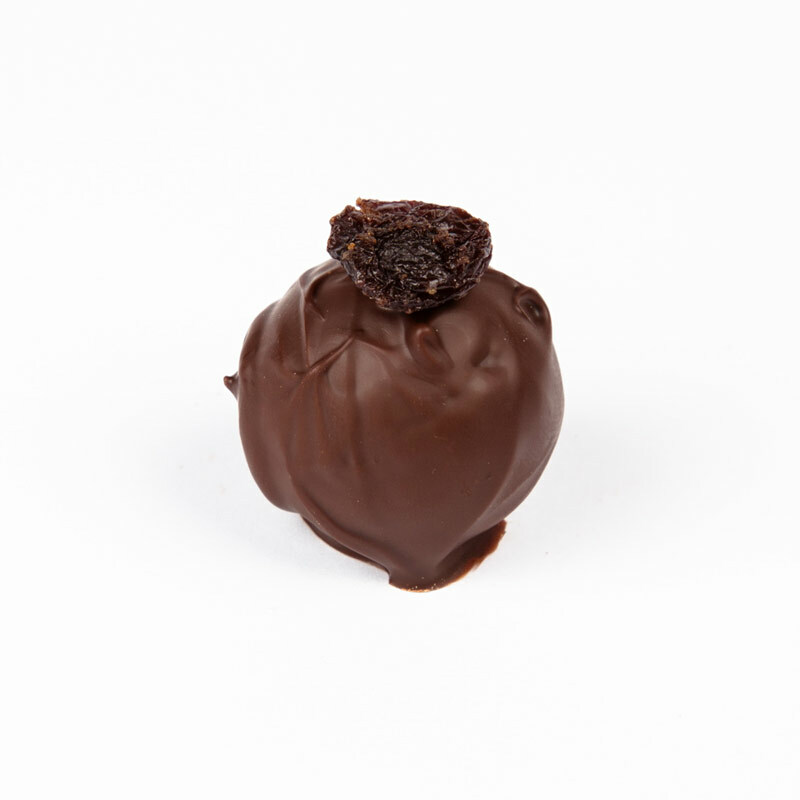 This is then hand rolled in Dark Chocolate and finished with a plump raisin. 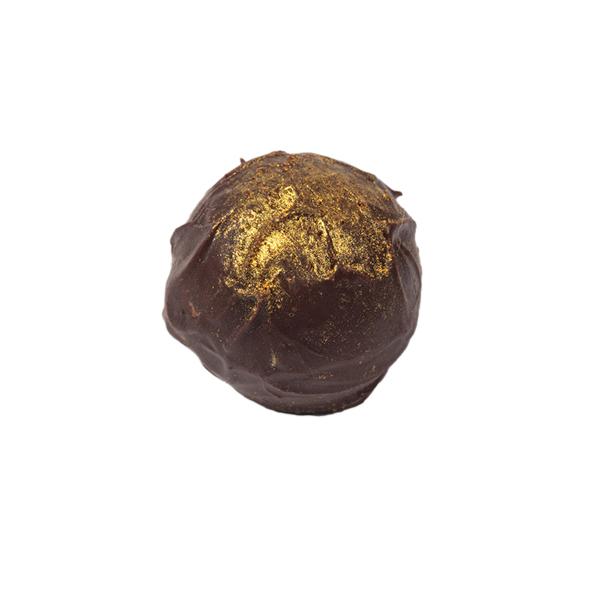 A liquid Bundaberg Rum liqueur centre hand dipped in dark chocolate, and finished with a dusting of gold. 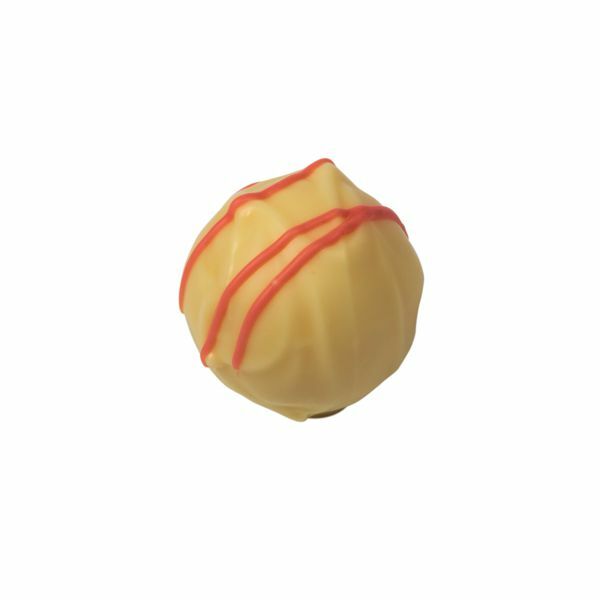 A white chocolate ganache flavoured with fresh strawberry puree moulded in a white chocolate shell finished with red swirls. 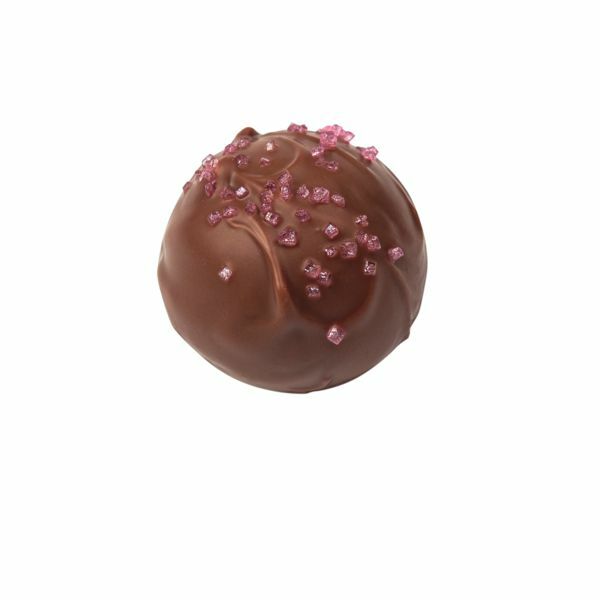 A light milk chocolate ganache flavoured with Tia Maria liqueur, hand rolled in milk chocolate and sprinkled with pink sugar. 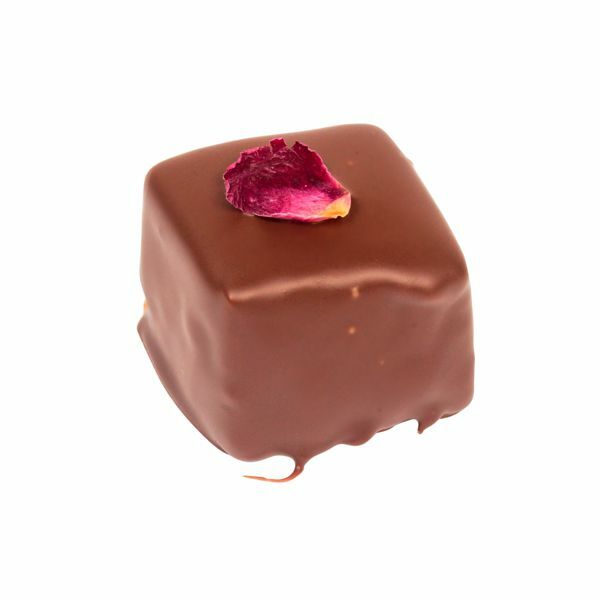 A rose scented white chocolate ganache studded with pieces of Turkish Delight, hand dipped in milk chocolate and decorated with a rose petal. 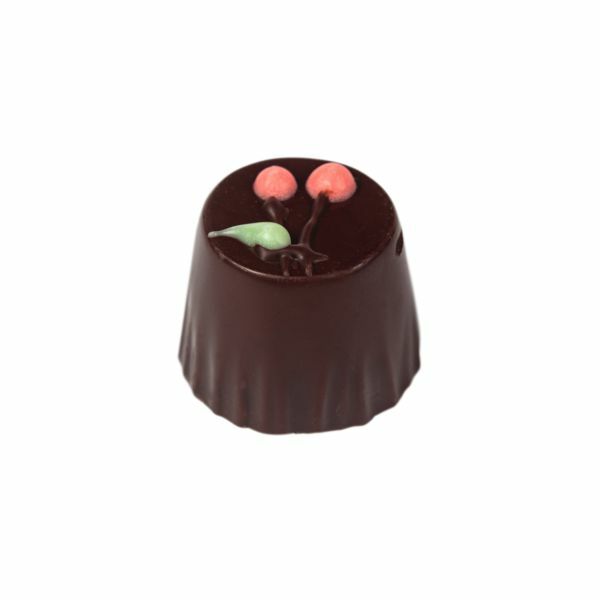 A smooth chocolate ganache infused with Madagascar vanilla pods, hand rolled in milk chocolate and finished with pink filigree. 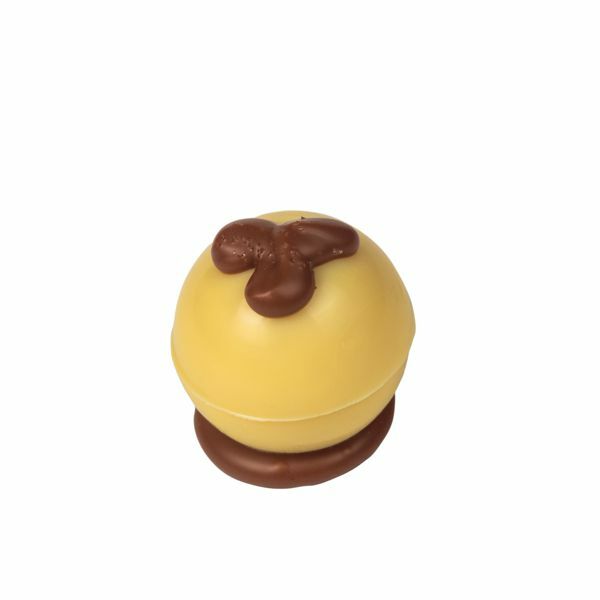 A Scottish whiskey liquid liqueur centre in a milk chocolate shell.